But what does productivity mean? Is it only about sitting at the desk with heads down for work all day? Well, obviously not! The productivity lies in creating the ideas, solving problem in a collaborative way. Is there any shade of productivity? Well, this question doesn’t denote the degree of productivity. Instead, the discussion is about the influential colours like beige, white and bland grey that denotes the sadness and depression in women and gloomy feelings for men. According to some scientific researches, colours don’t just change moods but also can impact productivity severely. That’s why most office managements love to decorate the workplace with stimulating hues that are known for increasing productivity. Restful green or calming blue are the colours that can improve efficiency and focus. Did you know, high-wavelength colours like red is known for drawing quick attention? Besides adding colours to office walls, graphics are proven to increases workplace productivity. Custom-designed graphics add colour and appeal using wallpaper murals by Perth professionals. The idea of integrating quotes on companies founding principles can be great for artwork. Promote your company culture: Wallpapers with quality graphics can define your business culture and represent a positive image to the employees. This, in turn, can boost the determination and passion to work. It helps to create a dynamic backdrop that sets a reminder of your company values during work days as well as at an event. It gives an extra edge to positive company culture: To stand out unique in this cut-throat business world, the professional wallpapering in Perth can give an office decor with an improved work environment. How?? Walls wraps that make office buildings as well as a passion more identifiable to other employees. Based on surveys, 83% of employees felt that artwork is important in a work environment, whereas 73% said their perceptions and work would greatly be affected if the art is removed. So, stimulating the ideas, promoting the feeling of calmness, you have to give employees something beautiful to look. This, in turn, can make a huge difference in employee satisfaction, productivity and wellbeing. While capping off here, having a wall art or mural in breakout areas will allow the staffs to escape the busy work environment. Whereas long day at office drains our enthusiasm for doing something great, creative wallpapering can instantly lift the mood. 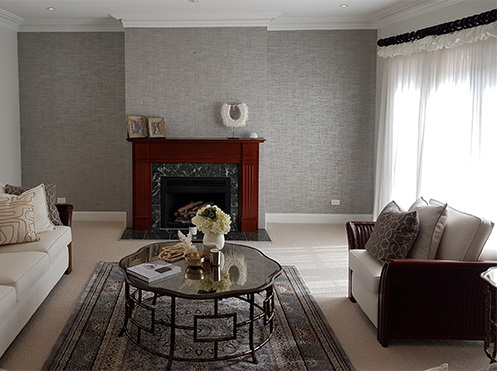 The author is an expert in installing wallpaper murals inside Perth homes and offices for years. The author also loves to write articles and blogs on creative wallpapering by professionals.